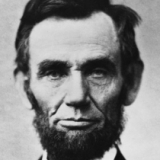 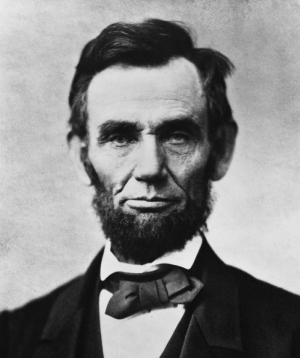 Photograph of President Abraham Lincoln taken on November 8, 1863 by Alexander Gardner. 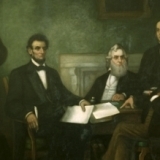 A painting that shows Lincoln and his cabinet, reading the Emancipation Proclamation for the first time. 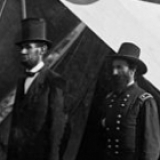 This photo taken by Alexander Gardner shows Pinkerton, Lincoln and McClellan soon after the Battle of Antietam. 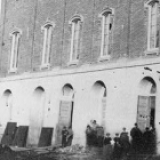 Exterior of Ford's Theater, where President Lincoln was assassinated in 1865, around 1868. 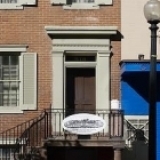 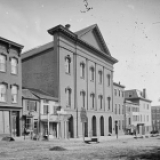 Exterior of Ford's Theater in Washington, D.C., where Abraham Lincoln was assassinated, from around 1860-1880. 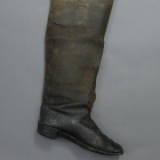 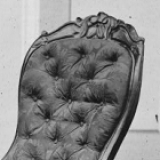 Photograph of the chair President was sitting in at Ford's Theater when he was shot by John Wilkes Booth. 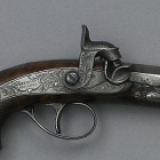 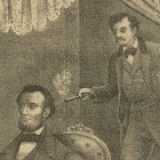 Photograph of the gun used by John Wilkes Booth to shoot Abraham Lincoln at Ford's Theater. 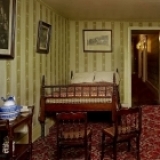 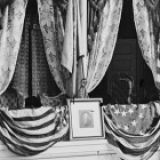 Photograph of the President's box at Ford's Theater where President Lincoln was shot by John Wilkes Booth.